ASP.NET has now become a really popular technology for web apps and more and more people are developing high traffic applications in it. And, to handle higher traffic, these ASP.NET apps are deployed in load balanced web farms where you can add more servers as your traffic load increases. So, it is very scalable except for one problem. And, that problem is the database and your data storage which cannot scale in the same fashion to handle the higher traffic loads. So, what you get very quickly is a bottleneck where your ASP.NET application slows down and can even grind to a halt. In such situations, data caching is an excellent way of resolving this database and data storage bottleneck. Caching allows you to store application data close-by and reduce those expensive database trips. Here is some sample code showing ASP.NET Cache usage. Does not synchronize across server or worker processes: It does not synchronize across multiple servers or even multiple worker processes. So, you cannot use it in a web farm or even a web garden unless your data is read-only whereas you need to cache all kinds of data, including one that changes somewhat frequently. Cache size limitation: You cannot grow the ASP.NET Cache to be more than what one ASP.NET worker process can contain. For 32-bit systems, this is 1GB and that includes app code as well. Even for 64-bit systems, the size cannot scale. Scales transaction load very nicely: You can keep adding more cache servers to the cache cluster as your web farm grows from 2 to 200 servers. NCache never becomes a bottleneck in handling more traffic. Scales data storage nicely: As you add more cache servers, your cache storage capacity grows due to Partition Cache topology. Replicates data for reliability: You can ensure that no data loss occurs even if a server goes down because data is replicated to other servers. 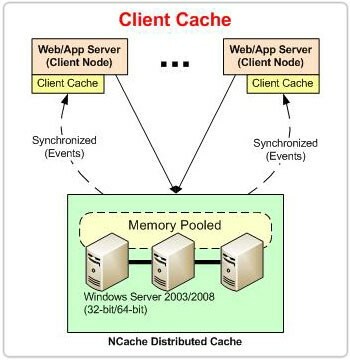 Dynamic self healing cache cluster: NCache provides 100% uptime through this. And, you can add or remove cache servers at runtime without stopping the cache or your application. 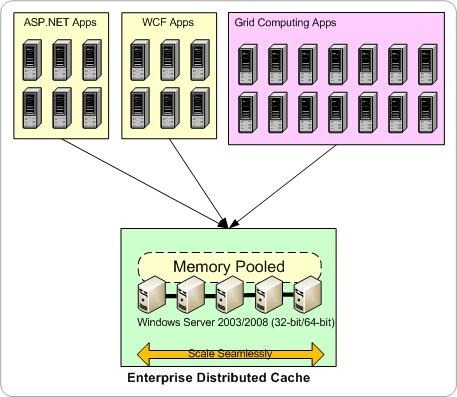 This entry was posted in ASP .NET Performance, ASP.NET Cache, Distributed Cache and tagged ASP .NET Cache, asp.net limitations, ASP.NET Performance, asp.net performance bottlenecks, Distributed Cache, SQL cache dependency. Bookmark the permalink. I’ve used NCache during one of my projects and results were very impressive. highly recommended !!! Appreciate it for the excellent writeup. Anyway, how could we communicate?